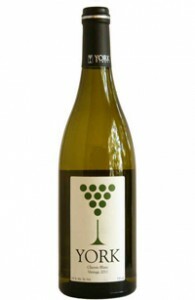 The aromas reveal floral, fresh lemon with hints of toasted bread and white fruit such as pear. The palate is light and creamy, clean, lemon and crisp. It has fine beads and a persistent mousse with a dry finish in classic brut style. A semi-dry, refreshingly light wine bursting with pineapple and stone fruit. Food pairing makes for a delightful aperitif and ideal with food that has a hint of sugar and spice. This medium to full bodied, fruity wine is marked by supple tannins and a good finish. While excellent on its own, it also pairs very well with creamy pastas or Indian gravy dishes and hard cheese. Intense bouquet of berries and sherry with a fruity, light bodied, smooth palate. Pairs well with mildly spiced preparations of fish and poultry. Intense notes of blackcurrant and blackberry with nuances of Mediterranean herbs and black pepper. The palate is concentrated showing ripe, elegant dark berry fruit with great intensity and weight, complemented by soft, fine grain tannins. Great structure with a powerful and persistent finish. Ruby red, bright, fresh dark fruits on the nose with some vivid raspberry, strawberry, cherry, vanilla and toasty aroma notes. The mid palate expresses ripe red fruit and mature tannins. Great spicy finish with a hint of oak. Fratelli Chardonnay 2014: Straw coloured with light green reflections, the wine has citrus aromas of orange and lemon with subtle notes of white flowers. The palate displays freshness and minerality. 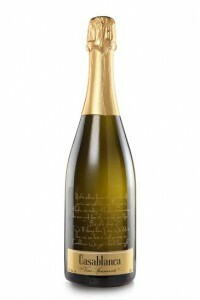 Casablanca Spumante Sparkling Wine: Pale straw colour revealing its fresh and young character. A generous fruity nose of kiwi and grape fruit layered with lime and floral undertones. A light body on the palate reminiscent of pear and green apple with a predominant acidic structure ending with a smooth and lingering finish. This deep red wine has come of age in fine oak barrels. 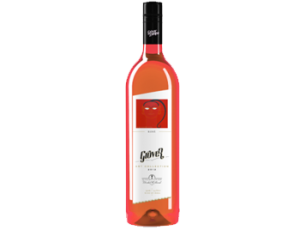 Crafted with hand-selected grapes, it is medium-bodied and infused with rich currant flavours. It is best paired with simple flavours, lamb, tandoori preparations and mildly-spiced curries. The semi-dry Chenin Blanc is a blend of Chenin fermented in stainless steel tanks and oak barrels. It has unique aromas of fresh tropical fruits like guava, apricot and pineapple. The oak aged component of this wine gives it good structure and complexity with very balanced acids.